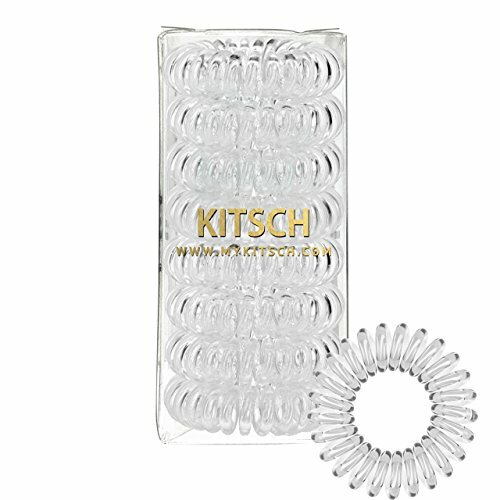 Available in tons of colors, you'll love the Kitsch hair coils. Gentle on your hair, but holds it in place with ease. Coils spread the "pressure" of a hair rubberband out over a greater surface area, helping to prevent breakage, and that horrible pony tail bump! Headache and kink-free! Includes four coils. Care instructions Clean your hair coils with light soap and water. If your coil happens to stretch larger than its original size, simply place it in a cup of warm water or use a hot blow dryer to shrink it to its original size. Includes eight non slip, tangle free hair coils. Gentle on your hair and cute on your wrist. 1.5" in diameter. They look small, but pack a big punch! If your coil stretches out over time, just use a hot blow dryer on it and it will quickly return to size.